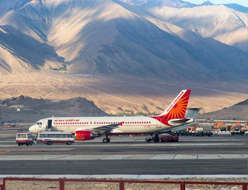 Arrival at Leh airport, to be received by our representative and transferred to the Hotel. Check in to the hotel for a complete day rest wherein welcome tea or coffee will be served by the Hotel. O/N Hotel. 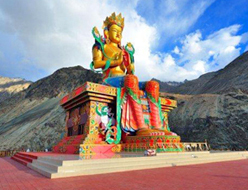 Morning after breakfast on your bike visit Hall of Fame, Gurudwara, Megnatic Hill and Sangam.O/N Leh. 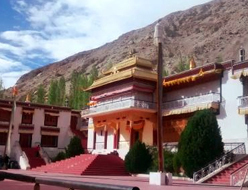 After Breakfast on your bike leave for Nubra Valley via Khardungla (Highest Motorable road in the World, 18,380 ft) Arrive at Hundur by afternoon. Lunch at Camp, rest of the day one is free to explore Deskit, Hunder Villages and camel Safari in Sand Dunes between Deskit and Hunder Village. O/N Camp. 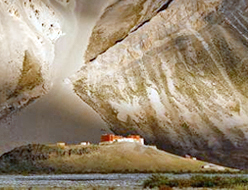 After Breakfast visit Deskit Monastery, where you can have a magnificient view of Nubra Valley and leave back to Leh by same Route, crossing Khardungla Pass. O/N Leh. 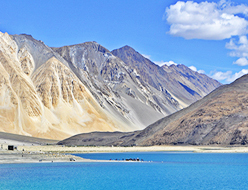 Leh - Pangong Lake 140 Kms. 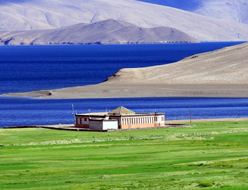 After Breakfast on your bike leave for Pangong Lake 14,500 ft, through Changla Pass 17,350 ft. (third Highest Motorable road in the world) Arrival at Camp, Hot Lunch will be served at Camp, Later free time at Leisure and enjoy the color changing lake and the sun set on the banks of lake. O/N Camp. Early morning enjoy the picturesque view of Sun rise on lake. 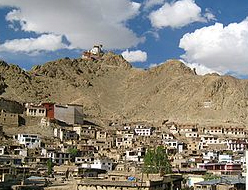 After Breakfast leave back to Leh, enroute visit Hemis, Thikse Monastery and Shey Palace. O/N Leh. Early morning after breakfast on your bike leave for Serchu through Tanglang La Pass 17,585ft,2nd Highest motorable road in the world, Skyangchu Thang (Biggest and Highest Plateau on stretch of 42 Kms. Arrive at Serchu by evening. O/N Serchu. 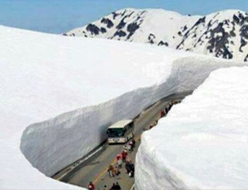 Serchu/Baralacha Pass/ Sissu (140 kms). After breakfast on your bikes leave from Serchu to KeylongEnroute crossing Baralachala Pass (4800 m),Darcha,Jispa,GemurGemur.O/N Keylong. 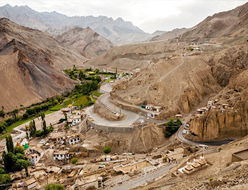 After lunch Sightseeing of Manali on your bike. 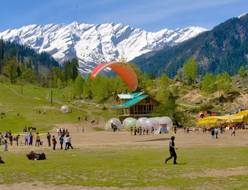 O/N Manali. 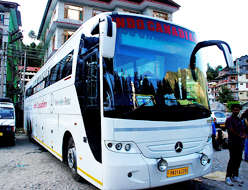 Morning transfer to Manali Bus Stand/Taxi Stand.